The new website has arrived! After a far-too-long hiatus I am pleased to launch my brand new website! I had a couple hiccups; for a while I was publishing from Blogger to my hosting provider. Then Blogger no longer supported FTP publishing to external hosting providers, so I had to find another solution. I tried Joomla once, but found it to be way too complex and cumbersome to use. In the end, WordPress proved to be the best solution for myself and my clients; it has a very clean, user-friendly interface which makes publishing a breeze, a huge library of plugins and developer support providing excellent flexibility for creating blogs or CMS sites. When I am designing a site it always starts with Photoshop. 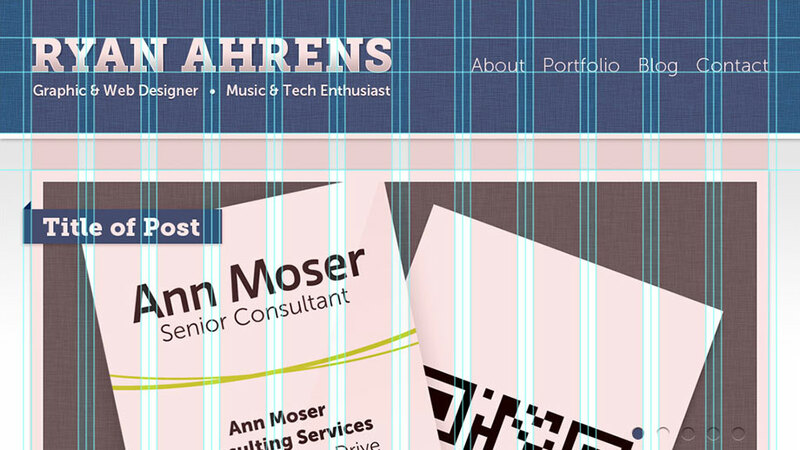 For the past few sites I’ve done I have chose to use the 960 Grid System as the guide for the layout. 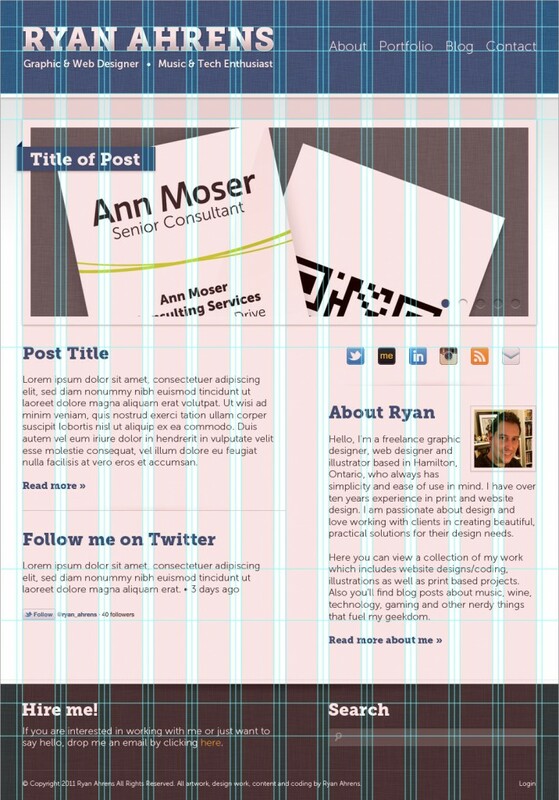 the 960 Grid System provides commonly-used dimensions based on a width of 960 pixels. Of the two varients, 12 and 16 columns, I have chosen to use the 12 column grid for my site. I like the 960 Grid System because it helps me create some structure and gives me a foundation to build upon, but still provides a lot of flexibility.